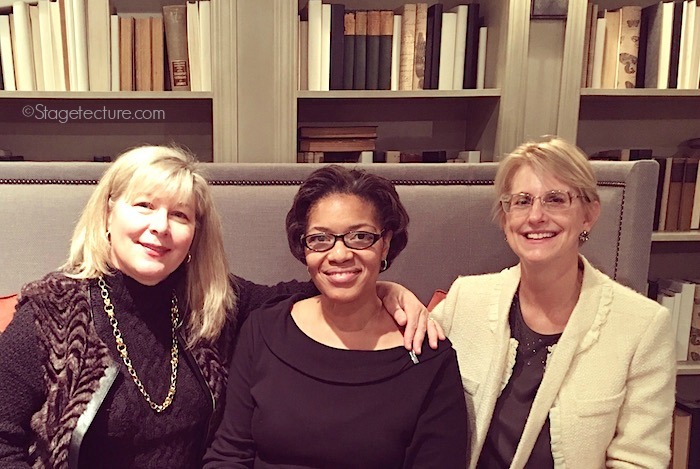 The past few weeks have been a wonderful whirlwind of gorgeous design inspiration and bringing you the latest of furniture designs for the upcoming season at the Fall 2015 High Point Market was a highlight of my year. 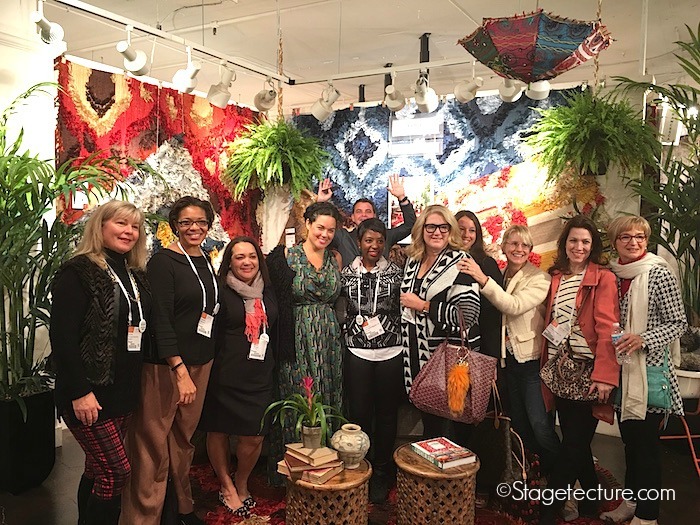 I hope you had a chance to follow me and the other 9 Design Bloggers for the #DesignBloggersTour on Instagram, Facebook and Twitter. You can always go back and look through my Instagram feed for play by play events we did each day! 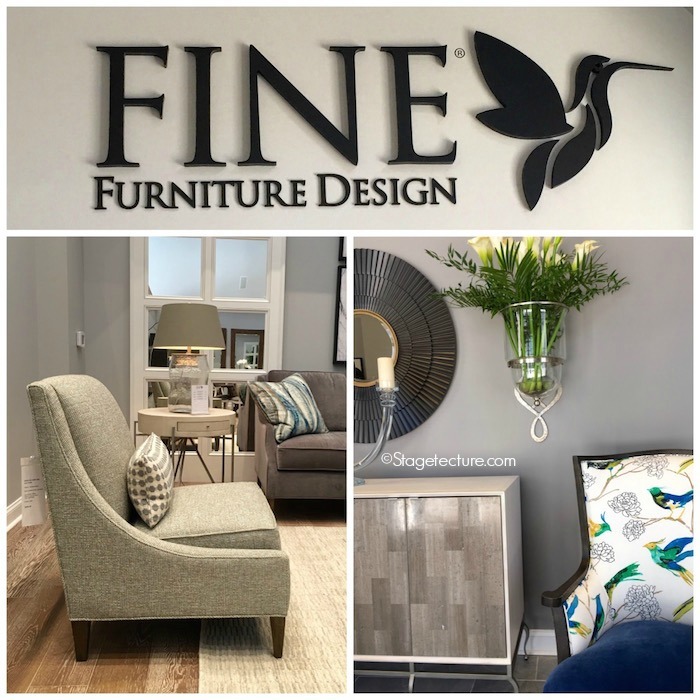 Fine Furniture featured muted neutrals accented with colorful patterns! 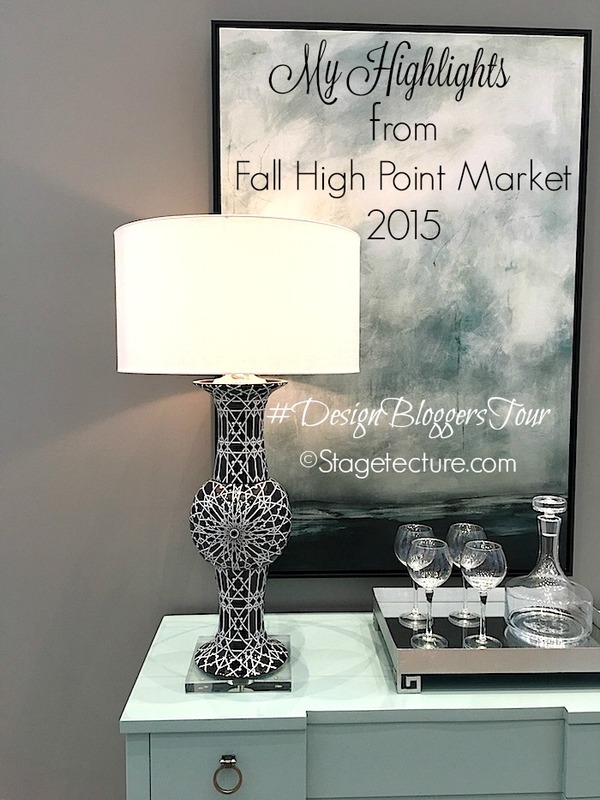 Geometrics in patterns isn’t new to the world of design, but seeing it in inspiring ways was a trend at High Point Market. Subtle and bold instances were everywhere. As you can see in the bar tray above in the first Fine Furniture photo, the Greek key feet of the tray counterbalances the kaleidoscope inspired lamp to the left. 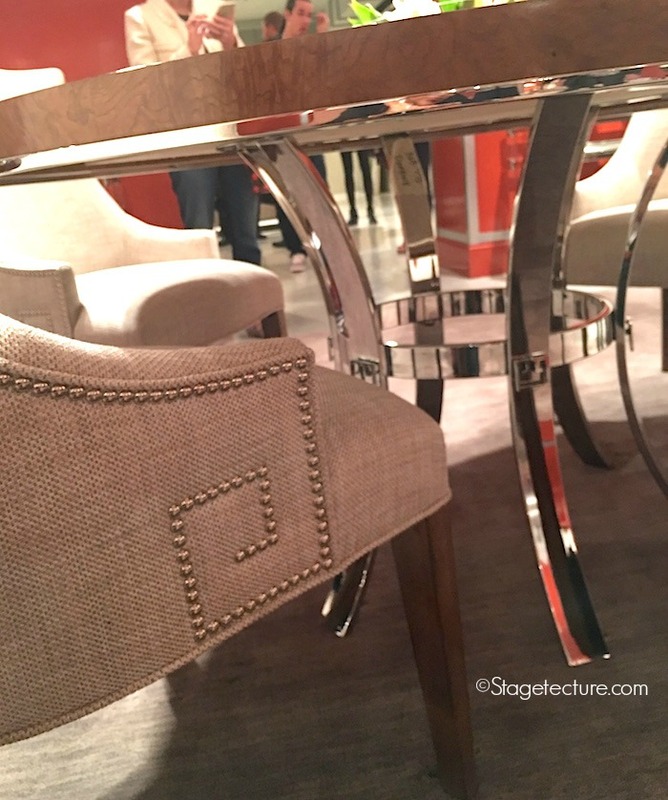 Bernhardt Furniture had beautiful accents of the Greek key symbols throughout their Soho Luxe collection. 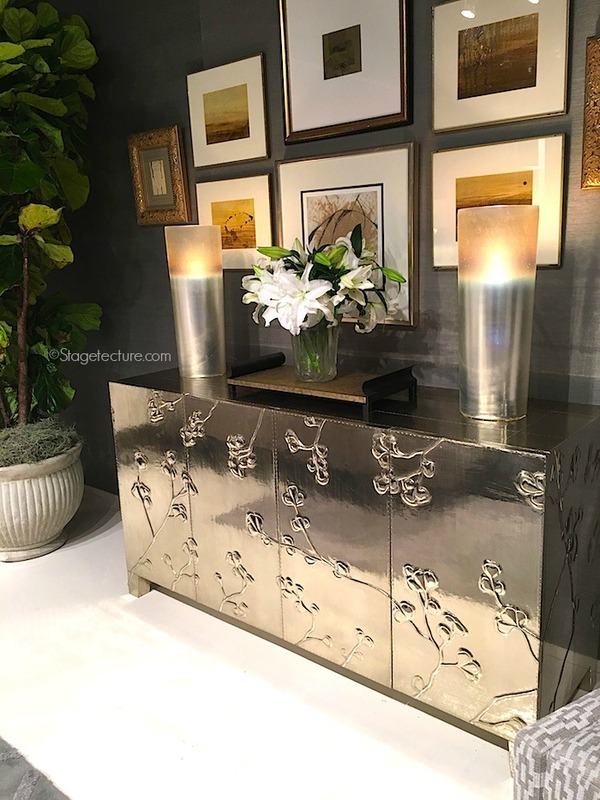 If you look carefully throughout their furniture, each piece is elegantly detailed with patterns, symbols and shimmering brass or mirrors. 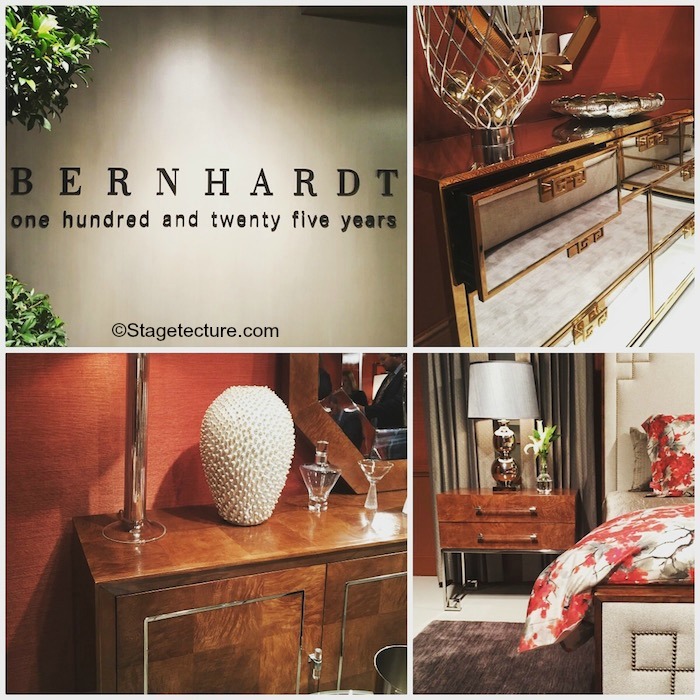 This Bernhardt piece was jaw-droppingly beautiful. Patterns and glimmer…. 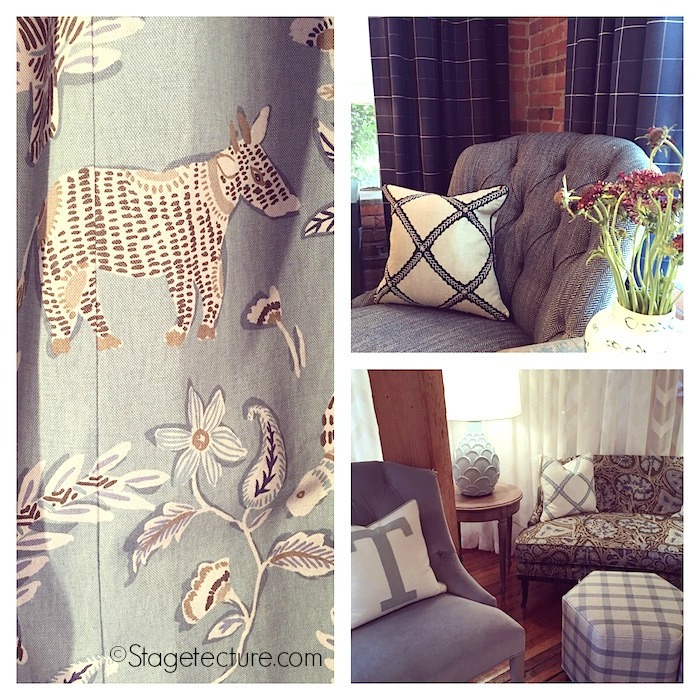 Another design trend I loved seeing was furniture brands combining furniture fabrics, curtain textiles, and wallpaper to create a cohesive look. 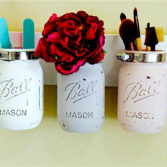 Thibaut Design did this beautifully. The nations oldest continuing wallpaper company showed us fresh pops of color from floor to furniture to walls. 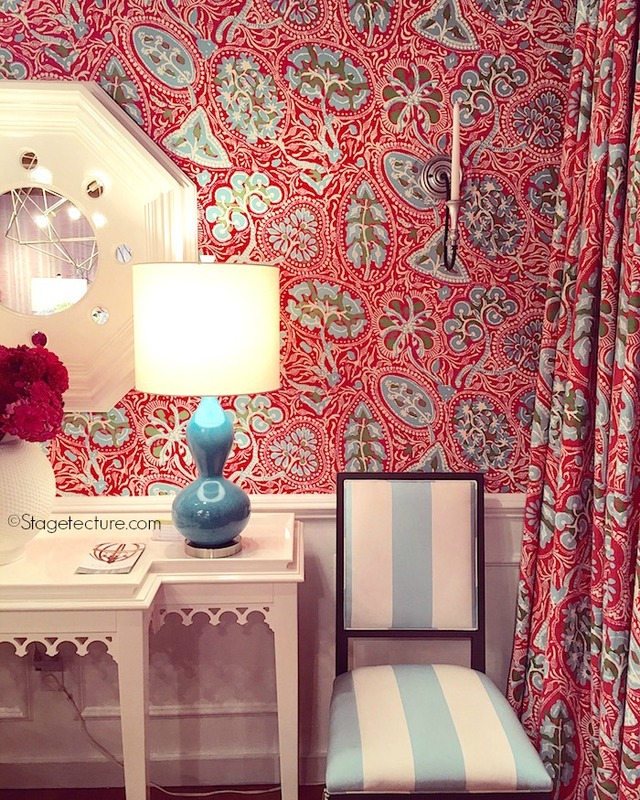 Thibaut Design has been producing wallpaper, furniture and fabric since 1886. The masculine side of Thibaut shows off their darker colors, still splashed with whimsy and grandeur. 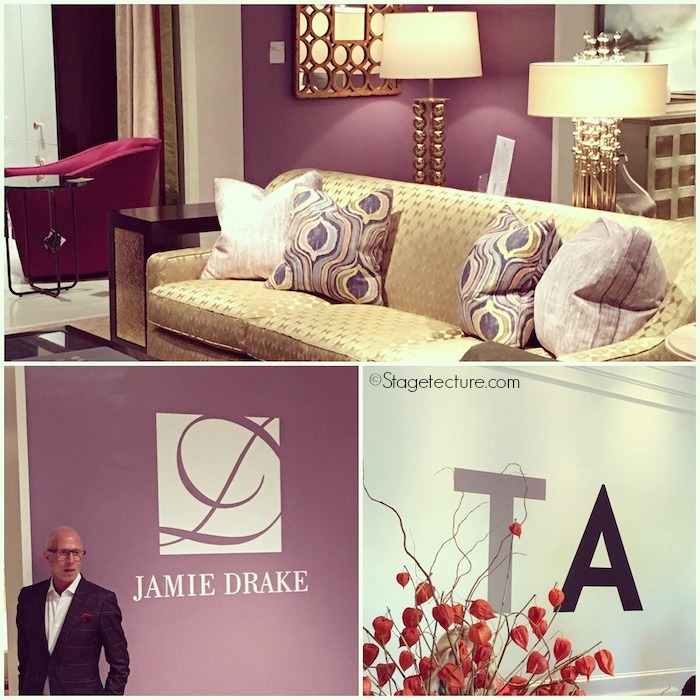 It was a pleasure to meet Jamie Drake again in person at High Point. I had first met Jamie at the Sub Zero Wolf New Generation Media Event in 2013. 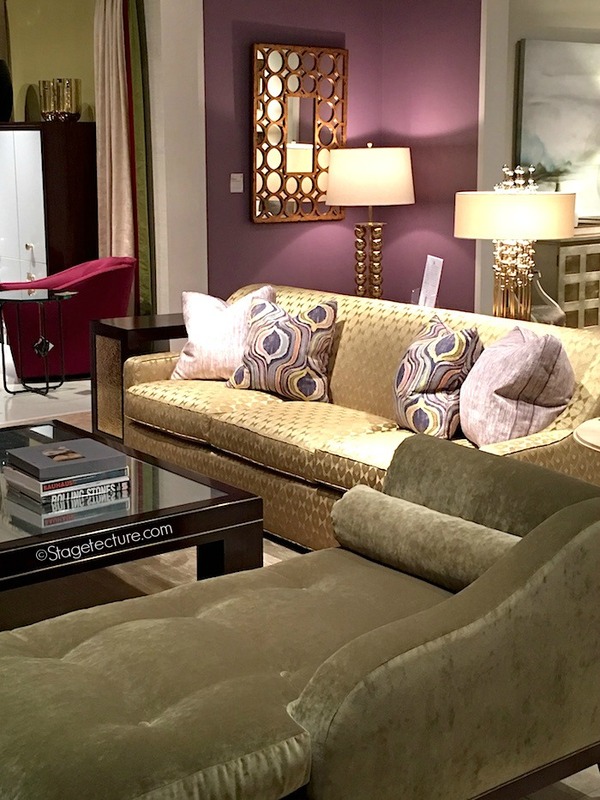 He has paired with Theodore Alexander Furniture to bring his impeccable style and unique blend of soft jewel tones to his line. I was able to catch this shot of him as he was being photographed by the “REAL” photographers 🙂 I saw a trend of bringing the Regency Style of vintage Hollywood glam adorned with modern fabrics to be one of the best highlights of Jamie’s line. The rich colors and sumptuous fabrics were wonderful to experience first hand. It’s hard to capture the event in blog posts because you don’t get to see, touch, hear and feel the hustle and bustle of High Point Market. I have however left you with the best parts of the market, and spared you the sore feet. 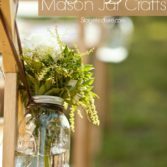 🙂 Soon you will start seeing the highlights in home decor magazines, furniture stores, and beyond. I hope you enjoyed coming along with me and I can’t wait for our next adventure together! I look forward to turning on my computer to Stagetecture every day. 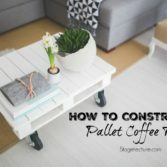 I enjoy all that it has to offer and I'm embracing my new found decorating skills. 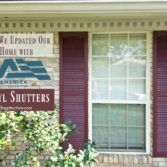 I truly love everything about Stagetecture. Aww Kim you're such a great friend. 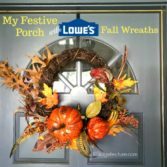 I'm always excited to share with you! XO Thanks for being a great supporter of Stagetecture - Kisses!